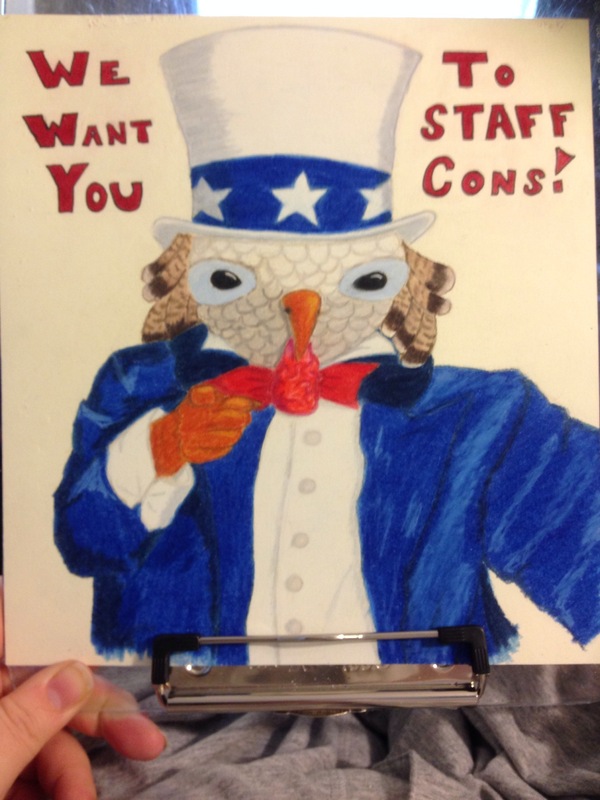 We want you… To staff cons! Do you enjoy going to cons? Ever wonder what you can do for your favorite cons? Volunteer of course. You to can volunteer and maybe even staff for your favorite cons. This was done with a technique I’ve never tried before and a new color of paper. An x-acto blade was used to scrape red off the paper that would not come off with an eraser. The paper is from a set of cream color papers I got for my birthday.